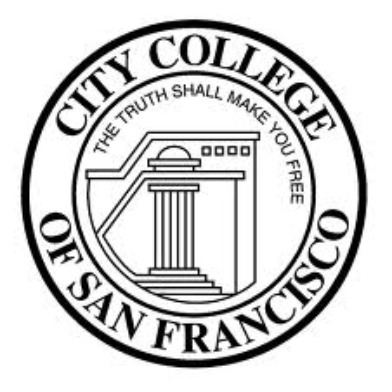 City College of San Francisco officials on Monday submitted a formal request for review of a regional panel’s decision to revoke the school’s accreditation, but the request made no mention of recent criticism of the accreditors by the U.S. Department of Education. The Accrediting Commission for Community and Junior Colleges announced last month that City College’s accreditation would end in July 2014 unless changes are made to the school’s governance structure and finances. However, last week the Department of Education issued a letter finding fault with the ACCJC’s accrediting process for City College, citing vague instructions for compliance, a lack of faculty members on evaluation teams and a possible conflict of interest between the commission’s president and her husband, who was on an evaluation team. Yet City College special trustee Robert Agrella said today that he decided not to include the federal criticism of the ACCJC in the school’s request for review because he did not want City College to take an adversarial role against the commission. Agrella, who was appointed last month by California Community Colleges chancellor Brice Harris to oversee City College’s fight to maintain accreditation, expanded on his decision in an open letter posted on the school’s website on Monday. Agrella said today that rather than have their timeframe shortened, his hope is that the 85,000-student school will be able to show enough progress that the commission could extend its accreditation deadline past its current date of July 31, 2014. “I wouldn’t have taken this on if I didn’t truly think we would maintain our accreditation,” he said. City College’s faculty union last week called on the ACCJC to reverse its decision to revoke the school’s accreditation in light of the Department of Education letter, but Agrella said that was highly unlikely. Agrella, who spoke to reporters today at a panel convened in San Francisco by the group New America Media, said City College is continuing to address the commission’s recommendations during the review process. If the decision to revoke accreditation is upheld, the school plans to appeal. Agrella said changes being made include redefining the roles of department chairs and deans and making sure the school maintains financial stability by placing at least 5 percent of its general fund in reserves. “We want to put the pedal to the metal and work as hard as we possibly can,” he said. Agrella said City College also has to add details to a report outlining the school’s plans in the event that its accreditation is indeed revoked next year and the school has to close. Among the options the school is looking at would be to lease space in its buildings to neighboring institutions to allow City College students to transfer there without having to commute to other destinations around the Bay Area, he said. “It’s simply not possible to say every student at City College can just get in a car and go to another institution,” he said. Meanwhile, City College students are holding a march and rally starting at 4 p.m. today to demand that Mayor Ed Lee help save the school from losing its accreditation. The march, which begins at 4 p.m., will end at City Hall.